It is said that the simplest solution is often the best one. While that is certainly true, solutions that are both simple and exceedingly clever are in a league of their own. One such brilliant innovation is about to make its way to Ford’s iconic pony car: the 2018 Mustang will feature Magnetic Ride Suspension, a technology more commonly associated with Ferraris and Lamborghinis than with affordable sports cars. The 2018 Mustang will be just the second Ford vehicle to feature Magnetic Ride Suspension, called Magneride for short; the Ford Mustang Shelby GT350, which retails for more than twice the price of a Mustang, has featured Magneride since 2015. So what is Magneride, and why are you going to wonder how you ever lived without it? Put simply, Magneride uses electricity and magnetism to allow a car’s shock absorbers – or dampers, as they are often called – to react to the road and adjust more quickly than conventional dampers. Magnetic suspension allows for a smoother ride over obstructions like potholes and more precise steering and maneuverability, making it the perfect technology for a vehicle like the Mustang, which provides sporty performance in an affordable, sensible package. Put less simply, Magneride works like this: each shock absorber is filled with a goopy fluid containing tiny magnetic particles. An electric charge is sent through this fluid, which alters the position of the particles and the consistency of the fluid. This technique allows your dampers to adjust hundreds of times per second, ensuring a remarkably smooth ride even on bumpier surfaces. We’re excited for the 2018 Mustang’s sharp new look, but we’re even more intrigued by the new technology finding its way into our favorite sports car. 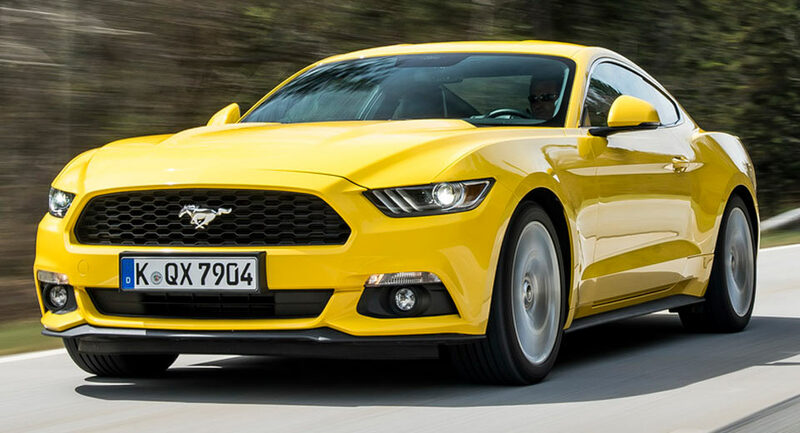 We’ll keep you in the loop as we learn more about next year’s Mustang refresh! « Sleek. Stunning. Sassy – 2018 Ford Mustang!